The current www.jpsc.gov.in article gives a clear picture of the entire information related to JPSC Jobs. Nowadays many candidates are in search for an opportunity at Jharkhand Government Sector and for them, this article is a great help. The article we equipped with all the essential information about JPSC like Office Address, Phone Number, Official website, Recruitment, Syllabus, Admit Card, Result, Previous Papers and much more. We are sure that the article is a great help for the contenders as they spend a lot of time in search for the information here and there. 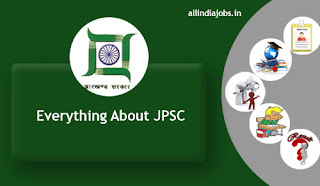 As the huge number of aspirants are struggling for the information about www.jpsc.gov.in JPSC Jobs in various websites we provided some genuine information in this article. By knowing the importance of your time we had designed this blog by equipping all the information related to Jharkhand PSC. Going through the complete article enlighten you up with all the latest recruitments, Call Letter details, Syllabus and Previous Year Question Papers etc. Office Address Circular Rd, Deputy Para, Ahirtoli, Ranchi, Jharkhand 834001. Jharkhand Public Service Commission which is shortly known to be JPSC. 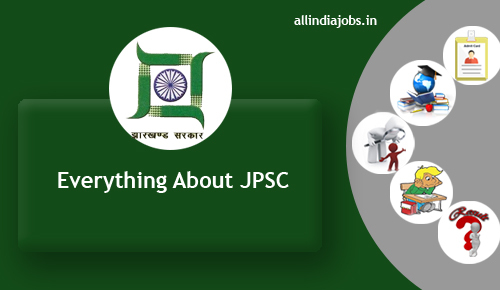 JPSC is an agency under Jharkhand government for recruiting capable candidates. The State of JHARKHAND came into existence on 15th November 2000 by carving out 18 districts of Bihar. The JHARKHAND Public Service Commission was Constituted under the provisions of the Article 315 of the Constitution of India by the Governor of Jharkhand. Over the past year, the organization has served its purpose by finding the capable aspirants in order to fill vacancies in various sectors of government. Every time Jharkhand Public Service Commission will release the latest job notifications in order to fill the available vacancies in Jharkhand Government. This is a huge opportunity for the candidates who are seeking a job opportunity in JPSC. In the similar fashion of previous years this year also huge opportunity is available for freshers and experienced candidates. Through proper preparation and hard work, candidates can easily get a job in Jharkhand Government and can get placed in JPSC Recruitments. Most of the candidate’s dream is get a job in this commission and are not aware of the latest job offers available in JPSC. By accessing the below given JPSC Notification table you can check your eligibility and can apply for the vacancies according to your eligibility and preferences. All the applicants must be sure a tough competition exists in the selection rounds. Interested aspirants can take a look at latest Jharkhand Government Jobs. If you are in search for all the www.jpsc.gov.in Syllabus then hold on for a second. This page is the right gateway for the candidates to get entire Syllabus for various exams offering posts by the Jharkhand Public Service Commission. In order to perform well in the exam, the syllabus is the most important aspect as without knowing proper syllabus you cant even start your preparation. We insist applicants go through the syllabus thereby you can get some pictures over the topics that need to be covered in order to show effectiveness in the written exam. In order to clear the test, you have to concentrate on the subjects in order to get qualified in the written exam conducted by Jharkhand PSC. In order to make the preparation effectively, JPSC Previous Papers will helpful for the aspirants to be aware of the question paper pattern. By practicing these papers candidates will get confidence in the test about to be given. On the other hand, by practicing more and more Sample Papers you can estimate your level of performance so that you can improve in these areas. Through these previous papers will help the candidates to stand in the race as huge competition exist between the applicants. All the information was provided to the visitors at free of cost and you can download the PDF Files freely. Download them according to your availability and start preparation because the competition for JPSC Jobs is very pretty. Go through the provided information and download the right suitable information that is related to your preparation. If you are in search for information related to www.jpsc.gov.in JPSC Admit Cards then this post will help you a lot. The below session deals with all the latest released Hall Tickets and upcoming Call Letters for JPSC Posts. For latest update bookmark us and make a regular check as we will keep on updating this page with all the helpful information. All the information will be updated on the basis of specifications specified in the official site @ www.jpsc.gov.in. The Hall Ticket consists of important info such as Coordinating institution, Roll number, Venue of a test, Subject, Name of candidate, Fathers Name, Mothers Name, Email ID, Date of the test, Paper wise timings, Important instructions for the exam etc. Check all the printed information on it to make sure whether all the details printed on it were correct or not. Jharkhand Public Service Commission conducts various written examinations for selecting capable candidates into various organizations across Jharkhand. A huge number of Candidates across the Jharkhand State participated in the exam at various test centers. Soon after done with the written test they were eager to check their results. Prior to check with www.jpsc.gov.in Results, all the aspirants must have to be ready with a valid Registration number and Date Of Birth. In the below, all the results links will be provided accessing which you can check your result. Soon after done with the result check process start the preparation for further rounds of selection. In this article, we made all the information related to JPSC at a single point. Visit our website www.allindiajobs.in regularly to get more important stuff related to www.jpsc.gov.in Openings. For any further suggestions and quires contact us through email.